Some 31 ships owned by North Korean shipping firm Ocean Maritime Management Company (OMM) have been blacklisted by the UN as the organisation imposes ever more stringent sanctions on the hermit kingdom. 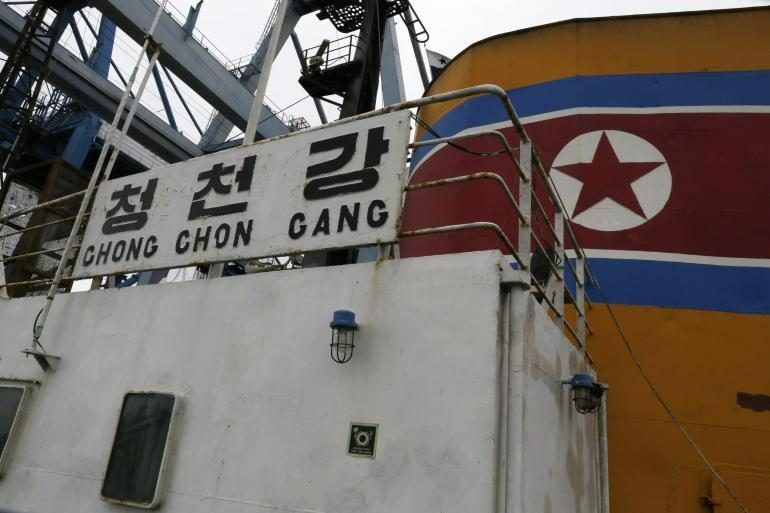 All cargo going in and out of North Korea must now be inspected, Reuters reports. Previously, inspections were only carried out if authorities had reasonable suspicions that contraband cargo was being carried. North Korean trade representatives in Syria, Iran and Vietnam are among 16 individuals reportedly added to the UN blacklist, plus 12 North Korean trading entities. The new round of sanctions follows a unanimous UN Security Council vote on Wednesday on a resolution drafted by the United States and China, Reuters said. The cargo inspection provisions are “hugely significant”, US Ambassador Samantha Power reportedly told the council after the vote. The new sanctions aim to further reduce revenue streams that fund North Korea’s nuclear weapons programme and use of other banned weaponry. North Korea conducted a nuclear test on January 6 and launched a rocket on February 7 that the US said used banned ballistic missile technology. Pyongyang claimed it was a peaceful satellite launch. On February 10, Japan announced it would strengthen its bilateral sanctions against North Korea by, among other things, instating a complete ban on the country’s ships entering Japanese ports. It has also banned remittances to North Korea, except for those made for humanitarian purposes. Meanwhile, the general cargo ship Mu Du Bong (9,900 dwt, built 1983) remains detained in Mexico, which cannot authorise its release until the UN Security Council verifies the vessel’s owner, which is believed to be OMM. Mu Du Bong had called at a Cuban port in July 2014 before it grounded on a reef, nine miles from Tuxpan. The vessel’s 33 North Korean crew members were repatriated in 2015.